Le Grand Marche de Noel de Montreal is in full swing! With only a couple of days left until it’s closed for the year, you better head to Place des Arts ASAP if you haven’t already stopped by. 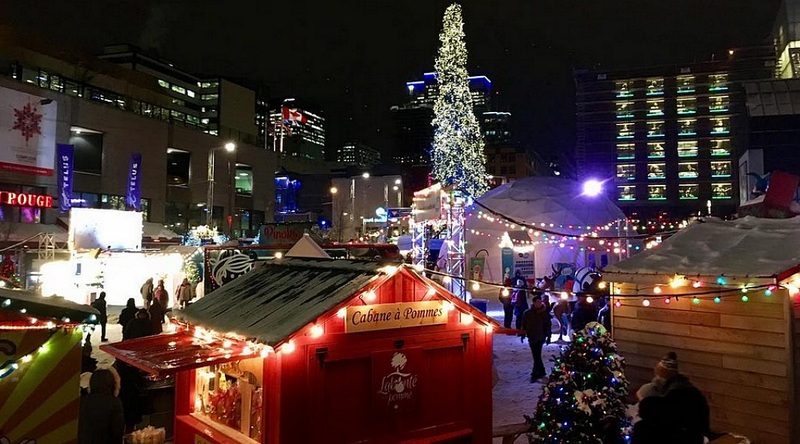 Filled with food trucks and stands (we’re talking Juliette et Chocolat, Gaufrabec, and more), gorgeous holiday decor (Montreal’s infamous Christmas tree included), visits from Mr. and Mrs. Claus, and plenty of North Pole animals that will look perfect on your Instagram, Le Grand Marche de Noel has been a major hit this year. Here’s hoping it will return in 2017! To round off the event, we’ve compiled a list of the 23 best photos from this year’s holiday market in PDA.